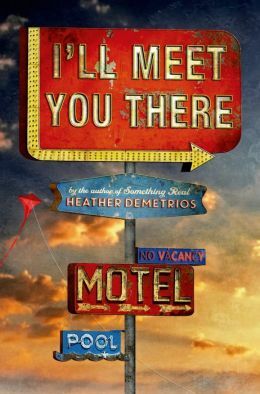 When she’s not traipsing around the world or spending time in imaginary places, Heather Demetrios lives with her husband in New York City. Originally from Los Angeles, she now calls the East Coast home. 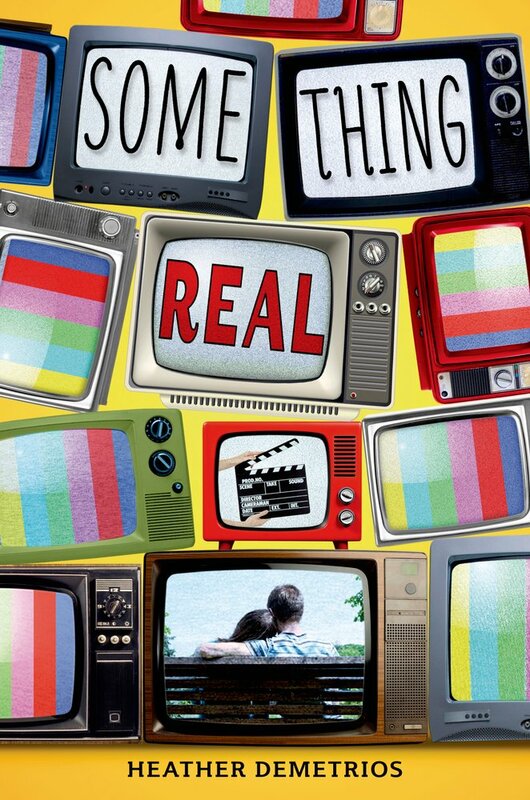 Heather has an MFA in Writing for Children and Young Adults from Vermont College of Fine Arts and is a recipient of the PEN New England Susan P. Bloom Discovery Award for her debut novel, Something Real. 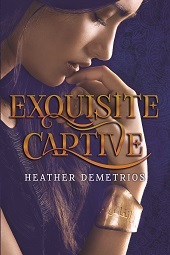 Her other novels include Exquisite Captive, the first in the Dark Caravan Cycle fantasy series, I’ll Meet You There and the multiplatform serial novel, The Lexie Project. She is the founder of Live Your What, a project dedicated to creating writing opportunities for underserved youth. I’ve been writing since I was a kid, but I didn’t get serious about it until I was about twenty-five. I got my first deal—two books sold to Macmillan—when I was thirty. This was for Something Real. My latest book is I’ll Meet You There. It’s about two older teens trying to escape from their small town. Skyler’s an artist and Josh is a nineteen-year-old Marine who’s just returned from Afghanistan, where he lost a leg and now has PTSD. It deals with some serious issues, but at its heart it’s a love story. I live in a tiny two-bedroom apartment in Brooklyn, NY. I feel very lucky that one of those rooms is my office. It’s painted a bright green, which keeps it cheerful. 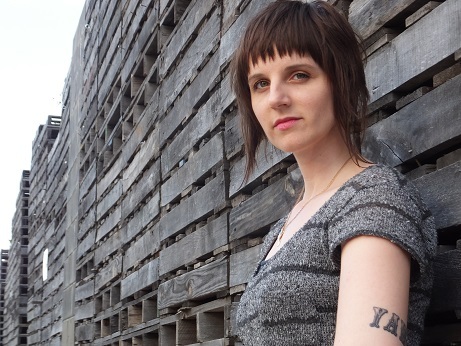 The walls are covered with corkboards—I have one for each of the books I’m working on. There are loads of books in the room, of course, and various things that inspire me. A bowl of shells from Indonesia, an old cigar box I bought in a voodoo shop in New Orleans that’s filled with story ideas—that sort of thing. I work all day long. I start in the morning and am usually at my desk late at night. I stop writing to walk my dog, do yoga, cook, hang out with my husband. Or read! I write probably a total of 4 to 6 hours a day, sometimes more. I’m a homebody, so I usually write at home in my office, but sometimes I’ll go to a coffeehouse to write. My husband’s a writer, too, so we go together when we can. It’s a nerdy kind of date. When I get an idea, I roughly sketch out what the plot will look like and think out loud a lot about the characters. I don’t really figure anything out until I start writing, though. I find everything on the page. I hate first drafts and feel really lost in them. I flail. I feel discouraged. Second drafts are when I really figure out who my protagonist is. My favorite time to draft is the third draft. I love polishing each word, each sentence. Just making it better and better. I also read the whole book out loud. I do the copyedited draft because that’s the one they make the advanced copies out of. I love stories and I live in my imagination. I had a day job up until two years ago and it was torture because my head is always in a story and everything else feels irrelevant. Other books and movies inspire me. Museums. Travel. But I get my ideas from more random things, like a tabloid magazine (Something Real) or a writing prompt in a writing class (Exquisite Captive). Facing down the blank page. Worrying that I won’t be able to pull it off this time. Fear is quite central to what I do. I have to battle it every day. I wish I’d known that I didn’t really need to worry about all the self-promotion. It’s gross and gets you nowhere. And buying swag is expensive! My goal is to never have a day job again. I have other ones, all those lofty ones like getting a major award, but at the end of the day, I just want to keep doing what I do for a living. I’d like to see less books being bought by publishers. The major problem right now is that there are so many books that are purchased, yet so little in the budget for marketing those books. It puts a lot of pressure on authors. 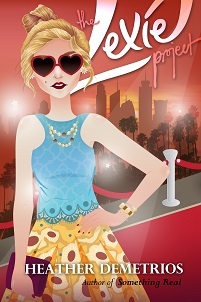 I’m not a publicist or a sales rep or a marketing whiz: I’m a writer. L.M. Montgomery, Margaret Atwood, Laini Taylor, Anne Lamott, Elizabeth Gilbert…I could go on and on! Definitely Laini Taylor. Her writing is gorgeous and she’s always up to something interesting.